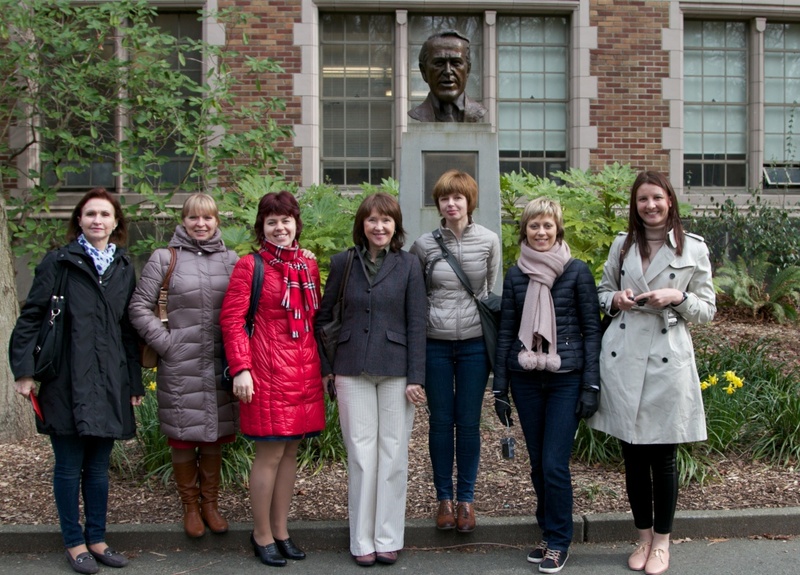 Yes, despite this tense time in U.S.-Russian relations, the Jackson Foundation has had the opportunity to host a delegation of civil society professionals from Moscow, St. Petersburg, Penza and Nizhni-Novgorod, part of a Peer-to-Peer Dialogue Program funded by the U.S. State Department. The delegation of eight women were sophisticated, committed NGO leaders here to learn about networking, communications, capacity building, fundraising, and advocacy from their American peers – and, in turn, to share their own expertise. We hosted the group in our home city of Seattle, where local partners such as Climate Solutions, 501 Commons and the Seattle Foundation shared their knowledge about connecting with constituents, building community engagement, and strengthening the network of nonprofits. We also brought in 25 of our NGO friends for a roundtable that explored dealing with burnout, building trust of the NGO sector in society, and expanding networks outside of the usual silos. Why did we participate in this program? Because we believe that it is vital for the U.S. to continue to focus on civil society in Russia and to ensure that those who are working to promote civic engagement, strengthen the Russian citizen’s interest in civil society, and building ties to other civic-minded groups should be supported and encouraged. We share this view with the State Department and are pleased to be engaged in this innovative program. Many thanks for your continued work on behalf of Russia’s social sector and civil society!